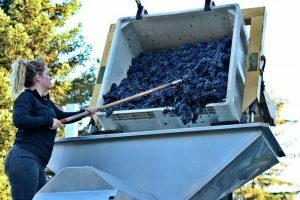 While much attention is devoted to harvest as it must be, there are parts of winemaking largely hidden from view that are at least as important, and in some years equally crucial. 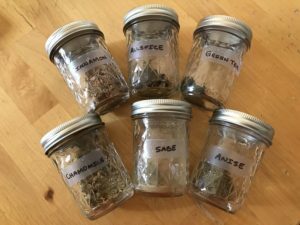 The late winter and early spring are when blends are put together. For barrel aged wines such as Pinot Noir this entails tasting and grading every single barrel in the cellar before you can even begin to think about putting the first trial blends together. Once blends are proposed and tasted another round of even more detailed barrel tasting begins especially in regards to the top reserve wines where even a single barrel can make a big difference in the outcome of a ten barrel blend. 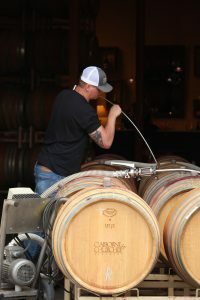 The reality of this process involves scrambling up and down the barrel stacks at nine in the morning with a glass in one hand and a piece of chalk in your pocket for marking the head of the barrel. At the same time the vines are beginning to set the pace of the upcoming harvest. This winter’s relentless rains and cold has made for a late start to the growing year. Whether this will be a good or bad thing will remain a mystery until the harvest is complete. We are just now seeing the young shoots emerging – at least three weeks later than average. Each growing season is a bit like having a child – you hope for the best, but you really have no idea of how they will turn out. Your job is to do the best you can. Part of what makes Claiborne and Churchill so unique and special is our production of Alsatian white wines. These wines are virtually unheard of among novice wine enthusiasts. 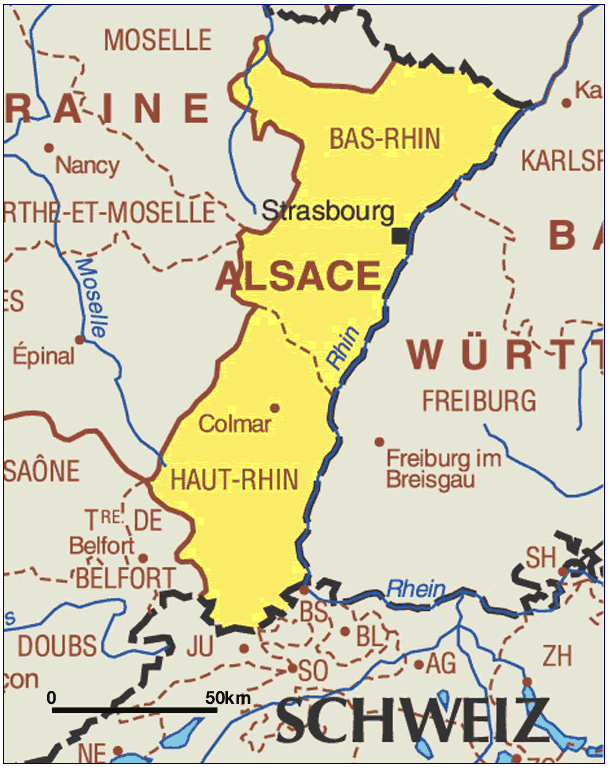 Alsatian wines originate from the region of Alsace in France, producing delicious, high quality wines, dryer in contrast to their neighbors in Germany. The German-influenced wines are often sweeter, but produced from the same grape varietals. Wines such as Rieslings and Gewürztraminers are today generally misconceived as being “too sweet” in the United States. This is mostly due to a sweeter style with higher residual sugar evident in these wines in the 90’s. Many producers who work organically didn’t want to pick grapes before they reached total ripeness and didn’t want to add store-bought yeast to complete fermentation that indigenous yeast couldn’t. This resulted in the wines retaining more sugar post fermentation. Due to the popularity with consumers and some wine critics preferring the sweeter wines and rewarding them with high scores, winemakers were discouraged from changing their methods until more recently. Vintners began to adjust their viticultural methods to define ripeness with lower sugar content in the grapes. 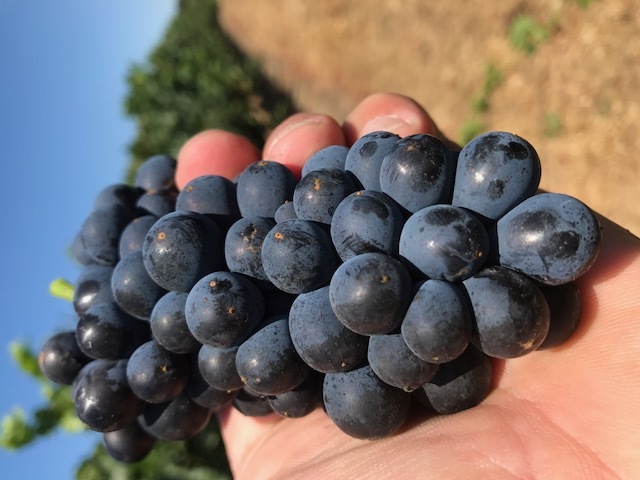 Winemakers have worked to achieve beautiful acidity and vibrancy rather than letting the sugars take over and being stuck with a syrupy product. Our take on Alsatian wines pays homage to how they were traditionally produced and enjoyed. Because of our proximity to the ocean, cool coastal breezes and morning fog create a growing environment similar to that of the Alsace region, yielding in Rieslings and Gewürztraminers with evident floral, spicy, and an array of fruit notes balanced with excellent acidity. We celebrate a harmonious balance of fruit and oak, structure and texture. 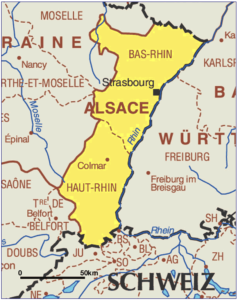 For more information, click here for a fabulous article that goes more into depth on the history of the Alsace region wines. In general how does this year’s crop look? 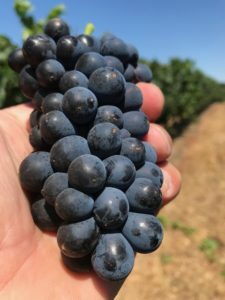 2017 Vintage is looking average for most varietals. The only varietal where we see lower yields is with Pinot Noir. Rain and cool weather contributed to poor flowering within our Pinot Noir Vineyards. Which varietal will Claiborne & Churchill be harvesting first? 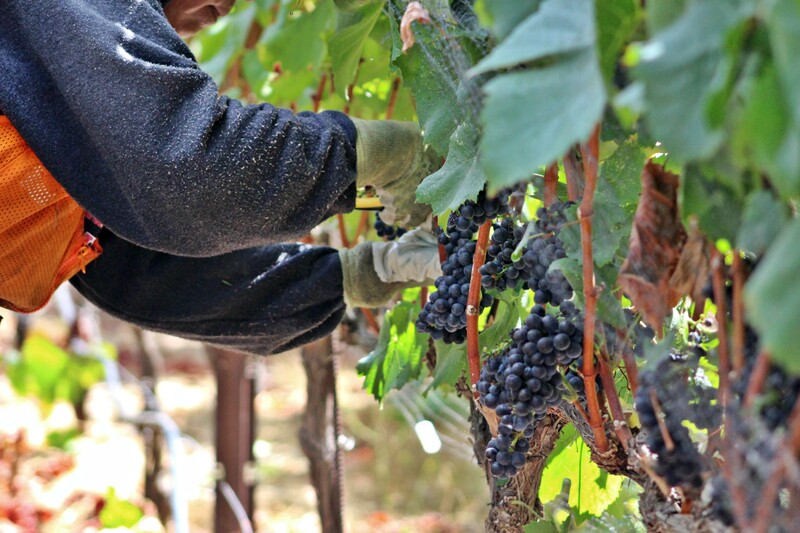 Pinot Noir from Greengate Ranch & Vineyard will be picked first starting this Thursday! We will be picking two select clones of Pinot Noir, Pommard and 2A. This makes up about 8-10% of the total amount of Pinot Noir for C&C. The soils at Greengate are not as heavy as the soils in the Twin Creeks Vineyard which allows the fruit to ripen sooner. As weather changes during the harvest season, how do you adapt? As harvest progresses, things get crazier and more compacted with less free time. We closely monitor and watch the weather making sure we are still on track to pick at the best time for each varietal. How do you decide when is the optimal time to pick a vineyard? It all depends on the varietal. We typically pick Aromatic White Wines earlier at lower sugar levels. This allows us to make white wines with lower alcohol and higher acidity. For Chardonnay and Pinot Noir we pick a little ripper allowing the flavors to fully develop. Syrah and Grenache are picked last and at the highest sugar levels. Another factor in harvesting our fruit is tracking weather patterns. 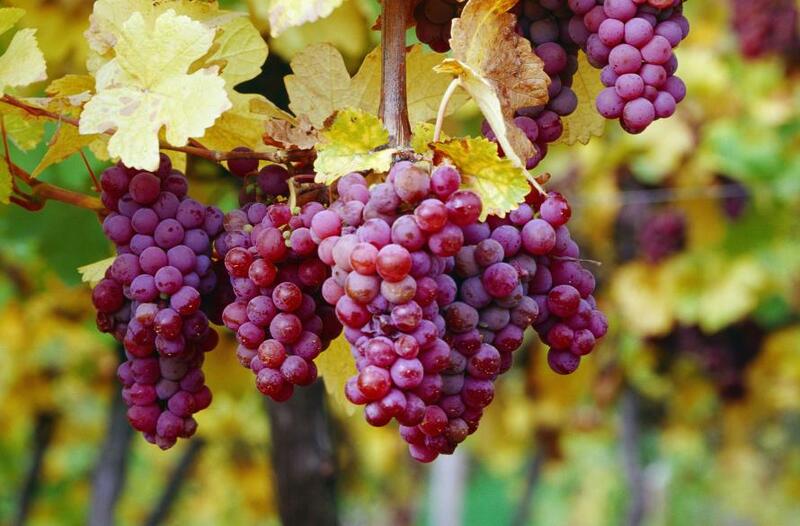 If the weather starts heating up, some grapes may be picked earlier before they get too ripe. If there is a cooling trend there is no need to panic and the grapes could stay longer on the vine. Are most grapes harvested around the same sugar levels? No. Each varietal is treated differently. We look at the sugar levels but we also look at the pH and acid levels. It also depends on the vintage; certain vintages allow for grapes to be picked earlier where flavor profiles develop earlier and need less time to ripen. Sometimes the grapes taste better at lower sugar levels and are more balanced between the sugars and acid. Do you typically go in and harvest from each vineyard all at once or do you do multiple picks from each vineyard? We typically pick multiple times through a vineyard. If we are only getting a small amount of fruit then we pick it all at once. 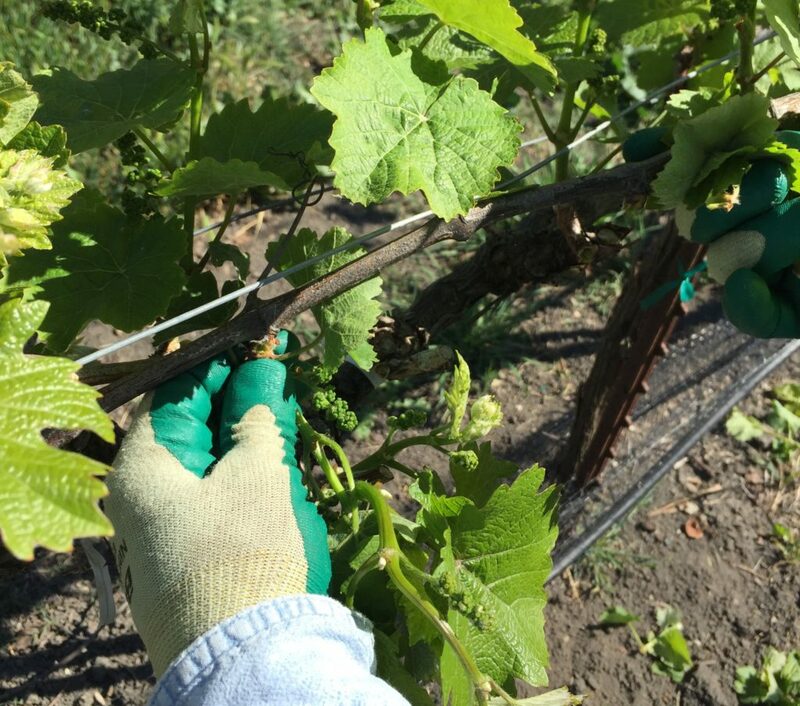 For our Estate Twin Creeks Vineyard we pick multiple times to get grapes at different ripeness levels. Harvesting a vineyard at different times allows us to get different flavor profiles that add to the complexity of the wine. What is one of your biggest challenges during harvest and how do you manage this? Time is a big challenge. From the actual harvest and making sure we pick at the right time, to making sure each person on our production crew is doing their part to processing the fruit into wine. 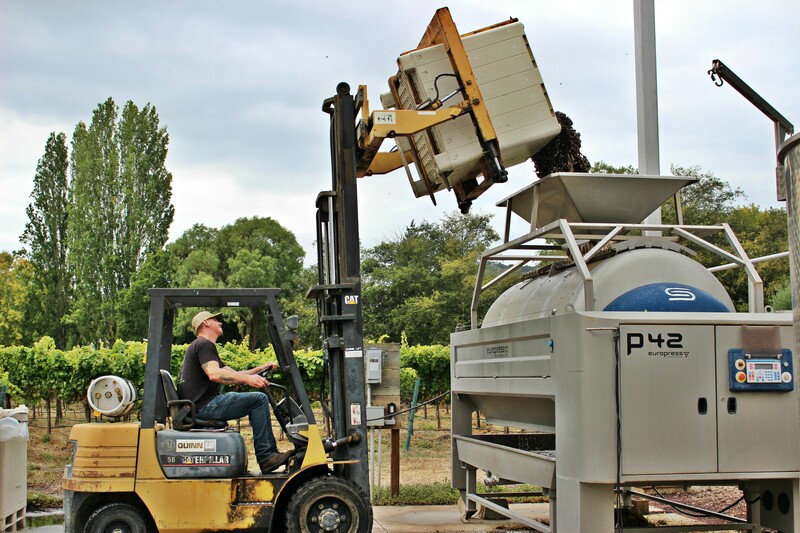 Multi-tasking is another challenge with the different grapes coming in to make the variety wines we produce. I’m constantly traveling back and forth from vineyard to vineyard and then back to the winery. During harvest we put in long hard hours day after day. As a winemaker this is what I look forward to each year, it’s my time to shine and make the best wine possible. Harvest has wrapped up early in the last couple of years, what are you expecting for this year? Last year was one of the earliest harvests on record. It looks like we are two weeks behind last year which puts us closer to our average cycle. I’d say we should wrap up harvest with Grenache sometime in late October or early November. What are you most excited for this harvest? It is always interesting to see what the “ theme” of the vintage will be (high acid year, good color, bold flavors). After spending so much time in the vineyards, it is exciting to get my hands on the grapes and make wine. I always look forward to the smells of fermentation; this is something that never gets old, even after my 15th vintage at C&C! We are finally starting to feel the spring weather on the Central Coast. It is so refreshing after the winter season we’ve had. The region was refreshed with many storms after years of drought. These storms were great for our dormant vines, as they flushed the toxins and salts in the top soil lower past the root zone and replenished our water storage. The recent sunshine has left the hills of the Edna Valley so green and wildflowers are starting to bloom. As the cherry trees are filled with flowers, we know something else is coming: bud break! 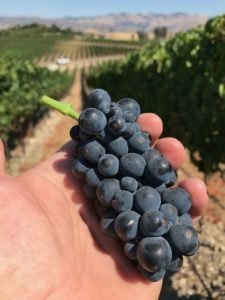 In this post, we want to share what has been happening in the vineyard since Harvest 2016. As we were finishing up all of the hard work that goes into harvest, we began to prepare the vines for the upcoming winter season. The vines had been under a lot of stress from producing the fruit we use to make our wines. After harvest we give them some water and nutrients over the next two weeks to supplement and prepare the vines for the upcoming dormant season. This process is what all perennials go through and resembles hibernation where little energy is used. In late February we begin to think about pruning the vines. Since we do not have any frost protection, we wait as long as possible to prune the vines. We are able to do this since we have so few acres and it doesn’t take much time to get through all of our vines. The old wood is removed to maximize the amount of one year old wood (fruiting wood) and minimize vine density thus encouraging airflow and circulation. 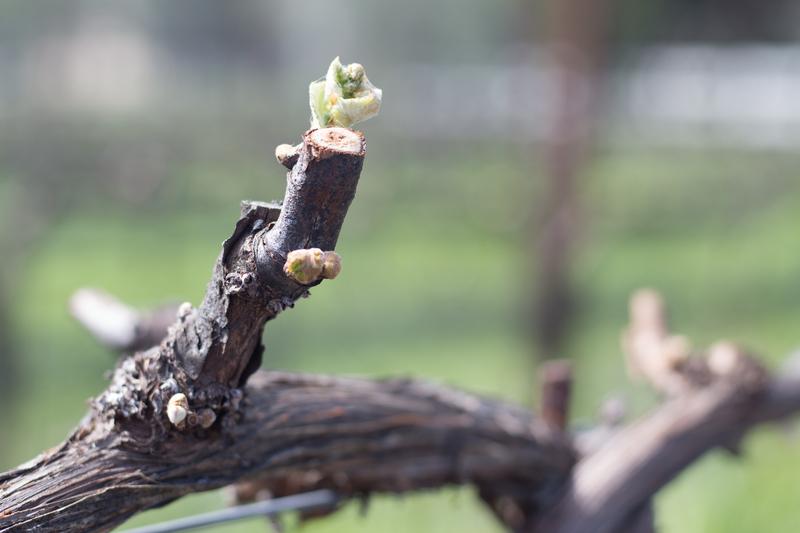 After pruning and the soil and weather warm up, you typically see bud break start to happen. 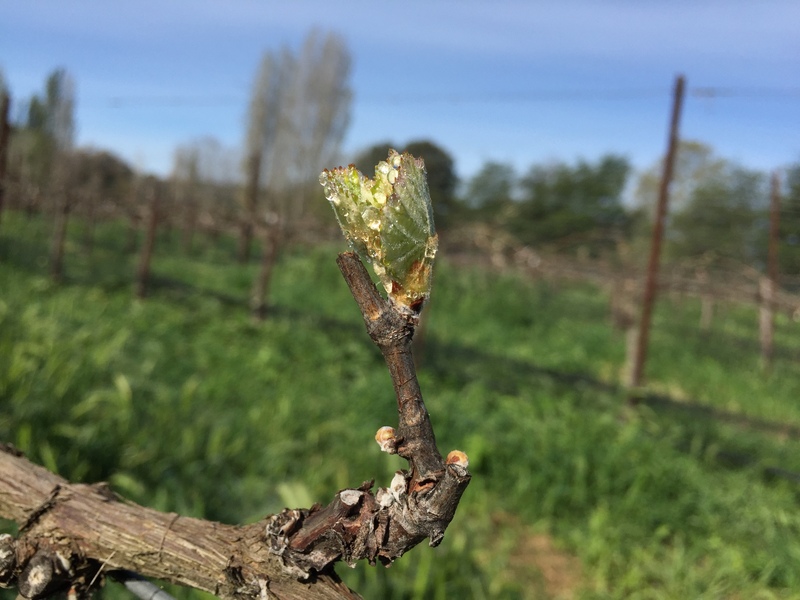 Here in SLO Wine Country bud break occurs sooner than most AVA’s in North America. Typically, bud break is seen first in the Santa Maria and Arroyo Grande valleys, then in the Edna Valley, and lastly in Paso Robles. 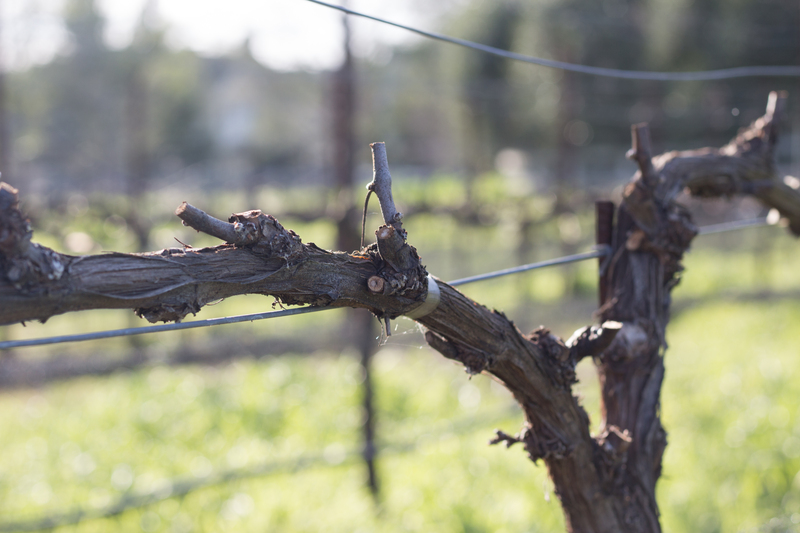 At Claiborne & Churchill our vines have just started to burst from the warm weather over the past weekend. In the next few weeks, we will mow the cover crop and disk the cuttings back into the soil. We planted barley between the rows to add nitrogen back into the soil and also to keep the topsoil from eroding. Cover crops like barley attract beneficial insects and help maintain the soil structure during the rainy season. 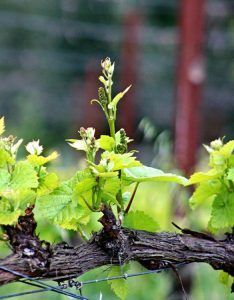 We will start to see rapid growth on the vines as shoots and leaves begin to form. After that, we will see flowering then berry set. The berries will begin to grow and start to look like little clusters. The red varieties will undergo veraison, when the berries change color from green to red. 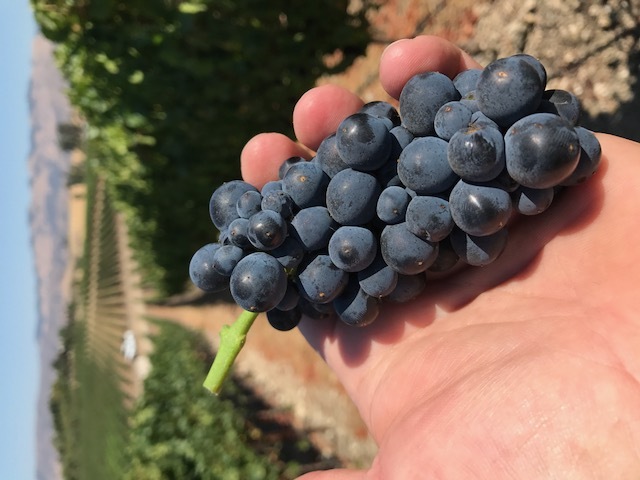 Over the next few months the grapes will ripen and develop tannins and phenolic compounds which contribute to the complex flavors found in wine. Before we know it, the fruit will be ready for 2017 Harvest! Stay tuned for more production updates throughout our growing season! We are proud to call San Luis Obispo home. Between San Francisco and Los Angeles, our town is nestled along the coast on California’s historic Highway 1. This tourist destination has become popular due to its sunny weather and slow paced lifestyle, which is why the town is called SLO! In fact, Oprah Winfrey herself named San Luis Obispo “America’s Happiest City.” Check out her video here! You won’t want to miss a chance to visit (or live) in this gorgeous region of California home to SLO Wine Country. We may be biased, but we think this is one of the best highlights of the region! 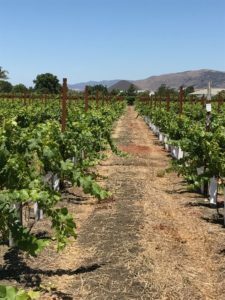 Following in the footsteps of Napa and Paso Robles, the Edna Valley has become an established wine region. 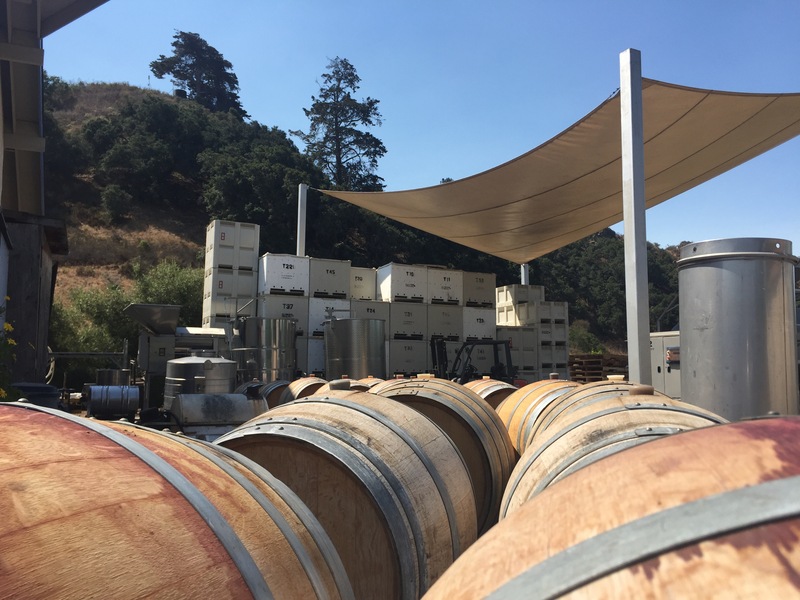 As SLO Wine Country shares, “in 1979, Lawrence Winery was established as the region’s first modern winery, and the property is today home to Center of Effort Winery. Chamisal Vineyard began making its own wine in 1980, and Edna Valley Vineyard followed in 1981. Claiborne & Churchill Winery, Laetitia Vineyard & Winery, and Talley Vineyards soon added further momentum to the local winemaking scene. These early wineries paved the way and put SLO Wine Country on the map.” The region welcomes thousands of guests each year to taste our award winning wines. The cool climate and diverse soil profiles help create amazing Pinot Noir and Chardonnay along with other varietal wines. Check out the SLO Wine Country Map to see where all the wineries are located in our region. Look here for six unique wine trails to hit, including Claiborne & Churchill on the Old Edna & Biddle Ranch Road Trail. Grab a picnic and enjoy your day with some great wines! The gorgeous weather, breathtaking landscapes, and close vicinity to the beach gives our locals and visitors unlimited options of things to do! The best way to take in our rolling hills or coastal views is to take a hike! Look at our previous blog post to see the perfect trail for you here – from a casual stroll to a challenging hike! Spend the day relaxing by one of our many beach towns just miles from SLO. Shop our local spots such as Downtown SLO, the quaint Village of Arroyo Grande, or the Pismo Outlets! Even shop for dinner – checkout the SLO Farmers’ Market on Thursday nights offering an amazing selection of local produce. Find an event to attend, everything from an art show to a concert on the SLO Happenings App. This is a great resource to create a fun trip to SLO! The Central Coast has become known as a “foodie” destination! There is no shortage of great restaurants from breakfast to dessert. SLO Wine Country has a great list of some of the top restaurants to hit! Trying to figure out where to visit for dinner? Ask a local! There are a wide variety of options to stay while you are on your trip! SLO Wine Country has a list of their suggested hotels here! The most well known place to stay is the famous Madonna Inn. The whimsical guest rooms are perfect for a unique experience with access to a delicious steak house, boutique shopping, and horseback riding. Grab a hotel in Downtown SLO or one with an ocean view! Wanting to try something other than a hotel? Checkout VRBO or Airbnb for fun options, including our Winery Guest Cottage! Start planning your weekend getaway or summer vacation to SLO; you will love the time you spend in “America’s Happiest City.” Make sure to visit us at Claiborne & Churchill while you’re here! Come and join us for one of our Winter Release with the Winemaker tastings! These intimate events take you through a tasting of our newly released wines guided by our winemaker, Coby Parker-Garcia. This fun and interactive experience has been a favorite amongst the staff and we are now giving you the opportunity! 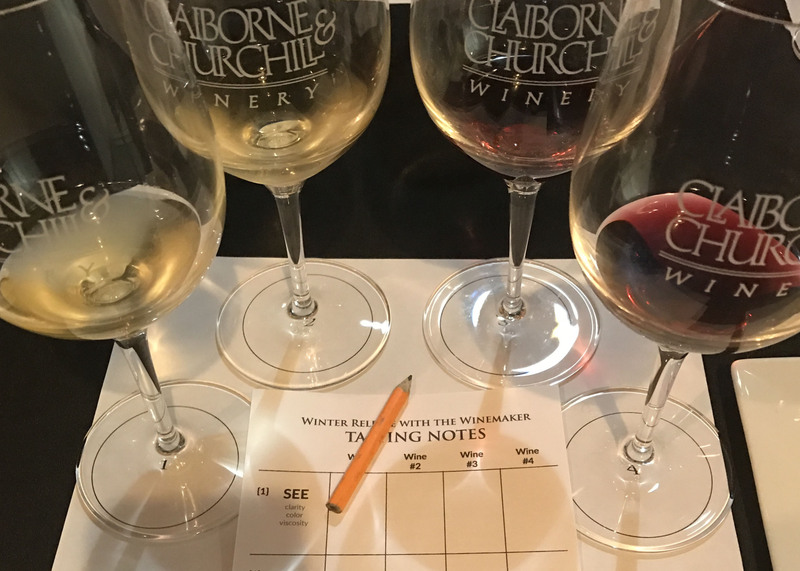 The tasting will begin by exploring the newly released wines as you analyze the characteristics you pick up on and discuss why those characteristics are showing through. 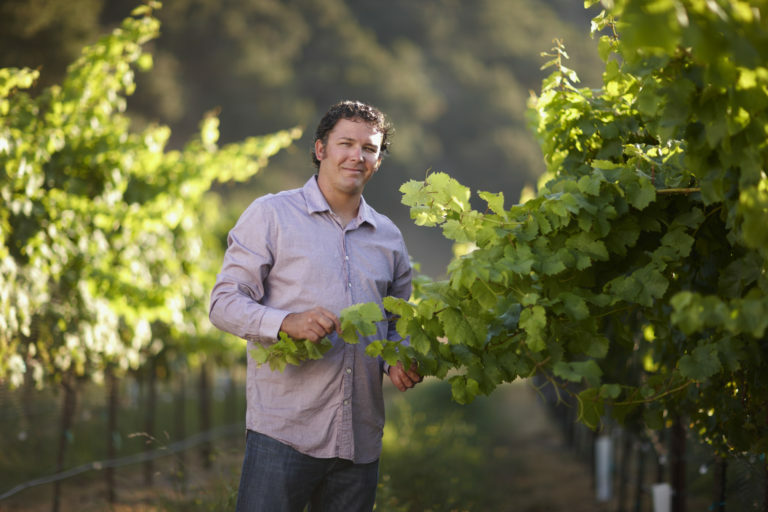 Our Winemaker Coby will educate Club Members on the growing season for these grapes, the production process of the wine, and food pairings in addition to sampling cheeses that have been perfectly paired with artisan cheeses from Fromagerie Sophie. This is an event for wine lovers and novices alike. We want to have an intimate experience allowing a small group to hear the decisions that went into making the wine, what characteristics are coming out in the wine, and what these wines pair well with. With only 18 guests per seating, you will have the chance to interact with the winemaker himself and ask him your questions! Though it is only available for members of our wine club, it is not too late to join! These 6 tastings are going to take place in our cellar at the winery. Check out the time most convenient for you! Buy your $10 ticket on our website here! Tickets are limited to two per Club Membership. Not a member? Learn more here and sign up to be a member here! With the beginning of August behind us, we are looking forward to our most exciting time of the year: harvest! The grapes are almost ready for their metamorphosis into some great wines. We have some special inside information into Harvest 2016 for Claiborne & Churchill from Winemaker Coby Parker-Garcia. Keep reading to see his explanation of how harvest works and his predications of how it will turn out this year. Things are looking great for the upcoming 2016 Harvest! We are expecting higher yields of fruit compared to 2015. This year’s harvest will still be an early one, however, we will begin picking fruit about two weeks later than last year. Over the past decade we have seen a consolidated in the time span of which we harvest our grapes. There are some days where we are picking Riesling and Pinot Noir on the same day. So, we are seeing the ripening track close together. We are expecting to start harvesting fruit in the next week. To decide when we start, it is important to test the fruit to make sure the flavor profile and sugar levels are at the right spot for optimal wine making. Coby makes frequent visits to the vineyards to sample the fruit, even the Riesling and Gewürztraminer vineyards in Monterey county. In the last days before picking, Coby is keeping a close eye on the forecast as heats spikes will accelerate ripening. August has had great weather for the end of the growing season with the morning fog and afternoons in the eighty degree range. After the grapes arrive at the Claiborne & Churchill crush pad, it’s time for the next steps for Harvest 2016! This is where some of the processes differ from one variety to the next. See how it works for reds, whites, and rosé below! All of the white grapes for Claiborne & Churchill wines are whole cluster pressed; that takes just over ninety minutes to extract the juice from the skins. After this, the juice is pumped into a tank to cold settle ( at 40 to 50 degrees) where the solids fall to the bottom and the juice is racked off its solids to another vessel for fermentation. The clear juice then ferments in the vessel of choice, which at our winery is either barrels or stainless steel tanks. Fermentation in the barrels takes about three weeks compared to the stainless steel tanks which takes five to six weeks. After that, they can be transferred into a new clean vessel. For the red grapes, we de-stem the grapes and leave them as full berries. For some, we even leave the stems on! The grapes then sit in fermentation vats for two weeks and get punched down 3-4 times per day. The grapes do a three to five day cold soak and then we inoculate with three different yeasts or allow for native fermentation. All red wines go through malolactic fermention (about 3months) with the exception of our Port. After secondary fermentation SO2 is added to the barrels and topped every two to three weeks. After aging for 8-14 months the wine is filtered and bottled. We pick the Pinot Noir a little earlier for the Rosé and then crush and de-stem the grapes into ¾ ton fermentation bins. After 17 to 24 hours of skin contact the juice is Saignée and racked into neutral oak red wine barrels. Select yeast is added, and the juice ferments for about 3 weeks to a month. The Rosé is then racked back into clean barrels and ages for 4-5 months. A small percentage of finished white wine is blended into the Rosé to increase aromatics and fruitiness. The finished blend goes into stainless steel tank where it sits for about one month before being fined, filtered and then bottled. We are excited for harvest 2016 to begin and are looking forward to making our ever popular Sparkling Wine, a blend of Chardonnay and Pinot Noir, as well as a new Grenache/Syrah blend. Check out our social media accounts for updates on Harvest 2016 at Claiborne & Churchill! A new book has been released telling the story of something dear to our hearts: Riesling. 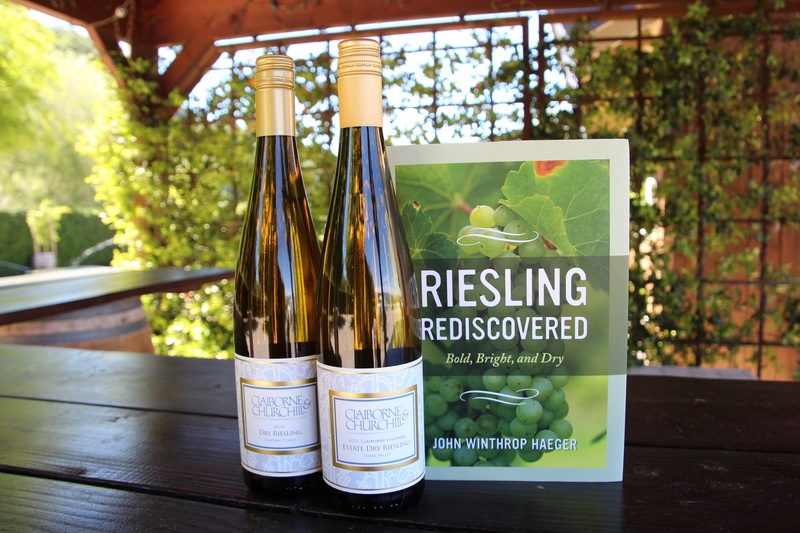 In November of 2015, John Winthrop Haeger released his account of this white wine grape variety titled Riesling Rediscovered. At Claiborne & Churchill, we make our Rieslings dry compared to the common sweet Rieslings of North America. As the book’s description says, “Now usually made dry in most of Europe and Australia, and assumed dry by most German consumers, Riesling is made mostly sweet or lightly sweet in North America and is believed sweet in the American marketplace irrespective of origin. Riesling is thus consequently—but mistakenly—shunned by the mainstream of American wine drinkers, whose tastes and habits have been overwhelmingly dry for two generations.” We see that most of our guests that say they dislike Riesling are pleasantly surprised by the dryness of our varieties. This book takes an in depth look into how variety, place, and style impact the final taste of the Riesling. The variety looks into how the cultivar of Riesling, a variety created by selective breeding, will change the taste. Place investigates how the location, topography, climate and other factors alter the wine. Style looks at how growing practices, processing, and storing methods modify how the winery’s Riesling will taste. Haegar also talks about the history of Riesling, how it is made, and a map of winery locations. Another section of the book features a number of vineyards and wineries known for Riesling, including Claiborne & Churchill. We are very honored to be highlighted in this renowned book. Our section starts with a look into the Claiborne Vineyard. He discusses where the vineyard is located, climate, and other factors of our vineyard. In the next section, Haegar follows the story of Clay and Fredericka, the start of the winery, Coby’s time as our winemaker, and a look into the Riesling we produce. 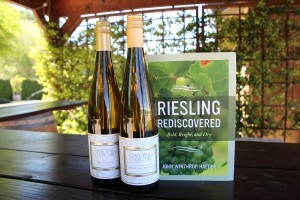 Make sure to grab a copy of Riesling Rediscovered here! It gives a great insight into the variety we love so much!